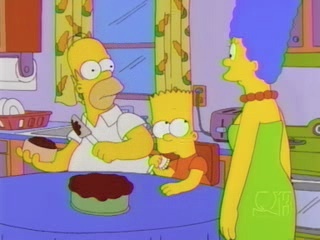 Marge: Why are you frosting that old throw pillow? Homer: I… could ask you the very same question! Older post → Trains Ruben Taketh: T13, yet again!